The White House says Tech. Sgt. John A. Chapman "charged into enemy fire through harrowing conditions"
Medal of Honor Presented to Late Windsor Locks Sgt. President Donald Trump awarded the Medal of Honor to an Air Force sergeant from Connecticut who was credited with saving the lives of service members on a mountain in Afghanistan in 2002. President Donald Trump awarded the Medal of Honor Wednesday to an Air Force sergeant from Connecticut who was credited with saving the lives of service members on a mountain in Afghanistan in 2002. Trump presented the award posthumously to the family of Technical Sergeant John A. Chapman, a native of Windsor Locks, Connecticut, at a medal of honor ceremony at the White House Wednesday afternoon. "I knew he did something spectacular," his wife, Valerie Nessel said in an interview with NBC News' Lester Holt. The interview will air in full on Wednesday evening on "Nightly News With Lester Holt." "We just never had the proof to prove it," she said. Chapman's helicopter came under heavy fire and crash-landed in a valley on March 4, 2002. Chapman and other team members returned to the snow-capped mountain to rescue a stranded service member. The White House said Chapman "charged into enemy fire through harrowing conditions," seized a bunker and killed its occupants. 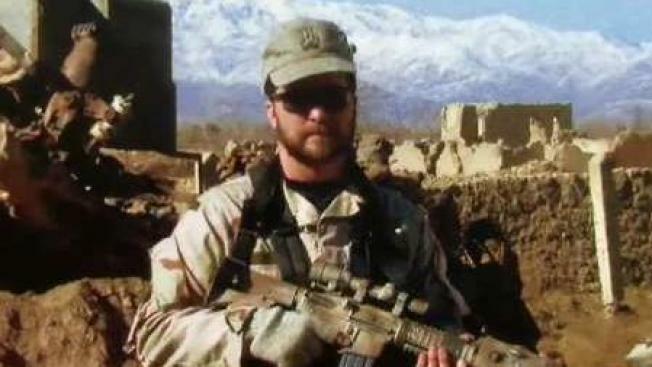 He was severely wounded in an ensuing firefight but continued to fight until he was killed. The military determined through technology, witness accounts and other methods that Chapman was still alive when reinforcements arrived to the mountain, and a major who was on that helicopter told NBC News that Chapman supressed enemy fire, helping the team to land. Chapman, who joined the Air Force in 1985, was 36 years old when he died. A U.S. Navy cargo ship was named in his honor on April 5, 2005. A photograph of Sergeant Chapman is on display inside of the State Capitol complex in Hartford as part of the Connecticut Wall of Honor, a memorial to the members of the United States Armed Forces who gave their lives in the wars in Iraq and Afghanistan since 2001.